- Systematize ways of reporting improvements beyond housing development and investment that are important to the life of the communities in which community development organizations operate. 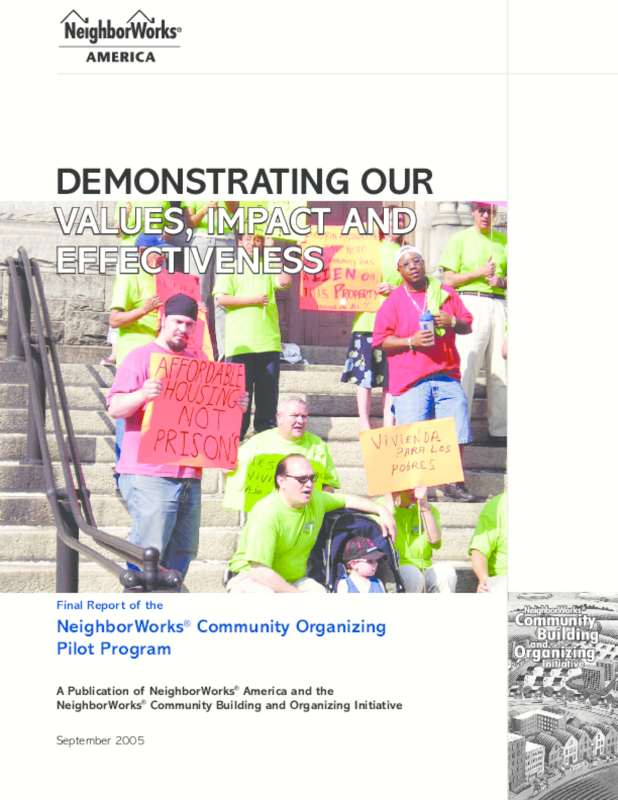 The Community Organizing Pilot Program was both a program with specific objectives, and also an applied research project that explored the effects of organizing activities on the work of selected NeighborWorks organizations. This report presents the work and accomplishments of COPP both as a program, and also as a project in applied research.